Lead scoring should be a fundamental part of every marketing and sales team’s day-to-day duties. This particular methodology measures the value of each lead and helps reps determine how to prioritize their engagements with these contacts, as well as how the nurturing process should flow. In essence, you’re quantifying the overall benefit a lead poses to your business. There are plenty of factors that come into play with regards to assigning a score to a lead. Two major “sides” of the score are perceived value and explicit value. When it comes to explicit value, the sales team might look at raw information like the size of the lead’s company, how they’re segmented, and what their job is within said company. Perceived value has more to do with getting a “feel” for the lead along the lines of monitoring behavior, seeing what emails the lead opens, and what they click. Both are important in determining the overall score a lead should get. While manual lead scoring might be the first thing that comes to mind, it is possible to automate the process by establishing scoring criteria in an all-in-one platform like Agile CRM, which is integrated with both marketing automation and sales enablement features. In this case, it boils down to managing your contacts and setting attributes that would be considered positive, such as social media engagement, and attributes that would be considered negative, like not reading emails or opting out of your company’s email list. Make sure you use a standardized scoring system where the numbers assigned to leads follow a specific methodology. It can be as straightforward as a scale of 1-10, but leave room for additional points based on things like company size, region and industry. As noted, ranking prospects and determining their value is a fundamental aspect of your teams’ duties– and there are major reasons why. Nearly 70 percent of top marketers credit the process as being a key revenue contributor. Lead scoring leads to fewer opportunities being lost because sales reps know who to focus on and who to pass up. To that end, it also cuts down on time wasted because those same reps can immediately see where a lead is in the sales funnel. They can get working on hot prospects right away, and your marketing team can retrain its focus on leads that aren’t as hot and then nurture them. This process also boosts productivity. A smaller, more targeted pool of leads that have been determined to be highly qualified make the sales process faster and easier. That in turn also leads to a higher return on investment– less time needs to be spent on better leads. One study showed that there could be as much as a 77 percent jump over those who don’t rank their company’s prospects. One of the biggest benefits also is the most important: more leads will be converted into sales. Yes, your reps will be able to close deals faster, but this process also allows your teams to develop relationships with clients, which keeps those customers around longer. Nothing increases sales figures better than having loyal customers. You’ll also see higher quality leads. The quality of a lead drastically increases productivity and revenue. One study recently suggested that a mere 10 percent increase in lead quality could turn into a 40 percent increase in sales productivity. Lead scoring might initially sound like a buzzword or a fad, but the numbers back it up as one of the single most important tasks a company should undertake. So let’s dig a little deeper into the numbers. According to Aberdeen Research, it’s possible for companies to see a 192 percent higher average lead qualification rate. The revenue gained per deal will jump 17 percent. The overall company revenue will see an increase of 18 percent. Your sales team’s deal closing rates will go up 30 percent. Small to medium businesses do not have the same resources as large companies. That’s just a fact. As such, internal resources like your workers and their time are even more valuable. That’s where accurately ranking prospects shows its greatest benefit: it allows owners and their teams to become incredibly efficient and focus more reliably on prospects that will result in a sale. Instead of chasing cold leads, your people will be engaged with qualified leads on the cusp of making a purchase. 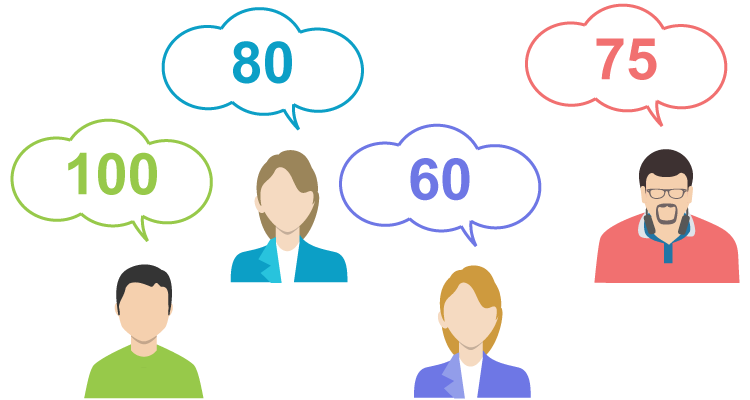 Lead scoring requires solid critical thinking skills, but before you can develop a wide-ranging, comprehensive system, you need to know the basics. First, get as much information as possible about the company you’ve targeted. Look for size, industry type, revenue stream and market. Much of this information should come from forms on your website that visitors fill out. Then make sure to factor in online behavior. You need to know what your lead was doing on your site, what actions they took, what pages they visited, if they downloaded anything, and so on. Also score based on email and social engagement. Monitor email open rates and click-through rates. You also want to get a sense of how they interact with your brand. Have they taken advantage of any offers or deals from your social media page? More comprehensive information is available elsewhere on our blog. Once you have the basics of scoring down, there is no reason not to go full bore ranking prospects and reaping the benefits. And with Agile CRM, scoring leads is easy.